The long wait is over. 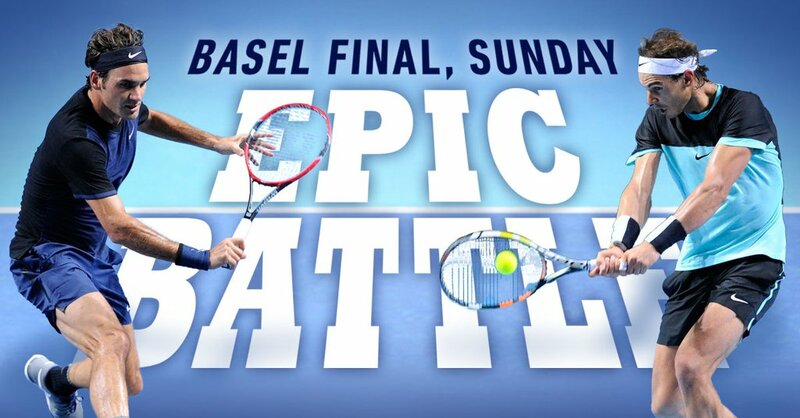 After more than 21 months, Roger Federer and Rafael Nadal will renew their rivalry with a clash in the final of the Swiss Indoors Basel on Sunday. The Swiss and the Spaniard, who last squared off on the hard courts of the Australian Open in 2014 - an encounter won by Nadal in straight sets - meet for the first time in a tour-level title match since the 2013 Internazionali BNL d'Italia in Rome. The Manacor native owns a 23-10 lead in the ATP Head to Head series, including victories in the previous five meetings. Federer last triumphed at the BNP Paribas Open in Indian Wells in 2012. 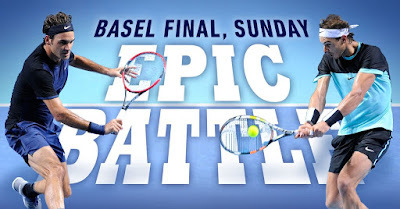 It will be just their fifth hard-court final, with Federer emerging in Miami 2005 and the 2010 ATP World Tour Finals and Nadal in Dubai 2006 and the 2009 Australian Open. "This is the first time we play each other in Switzerland," said Federer. "It will be an amazing atmosphere tomorrow. This is a dream final for the fans and the tournament. "I'm very delighted. It's a great feeling. You always hope at the beginning of the week that you will be part of the last two players there and have a chance to win the trophy again in your hometown. It's nice to re-live that dream again this week. "I'm feeling good with my game and have a good shot in the final. I have a clear game plan. I know how Nadal plays and he knows my game. The start is going to be crucial. "I'm expecting him to play his best yet in the final. He's been fighting back all week, I know he will stay in the match." Nadal said he was thrilled to be facing Federer again for a title. "We've played a lot of important matches. This will be another special match against an amazing player," said Nadal who will be appearing in his 98th career final. 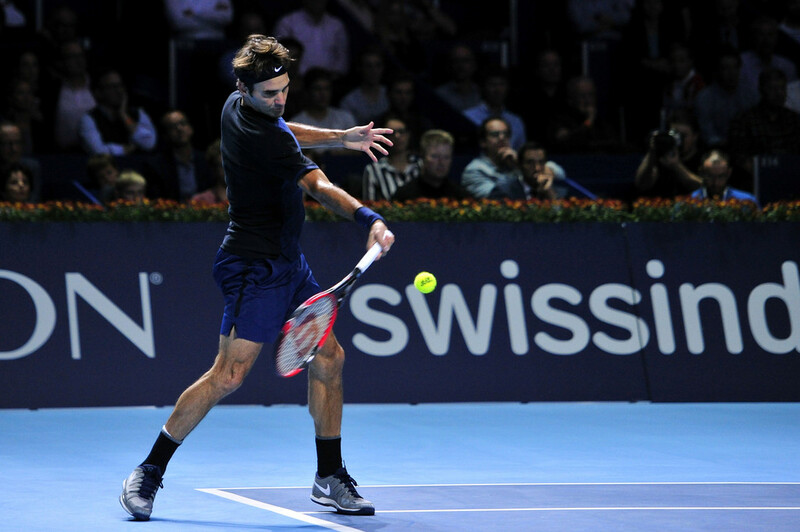 Federer needed just 63 minutes to book his spot in the Basel final on Saturday, streaking past Jack Sock 6-3, 6-4. 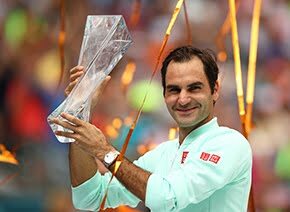 He is set to contest a 12th final on home soil in Basel (2000-01, '06-15), which remains the most at a single tournament in the Open Era. The World No. 3 is the only player to reach at least 10 finals at a tour-level event, also doing so on the lawns of Halle and Wimbledon. He is also the first player to compete in 10 straight finals at a tournament. Ivan Lendl contested the final at the season finale (former Tennis Masters Cup) nine times from 1980-88 and Rafael Nadal the Monte-Carlo Rolex Masters from 2005-13. The Swiss maestro fired 19 winners and won all 18 points when at the net. He converted on three of six break chances and withstood a late rally from Sock, after the American broke while Federer served for the match at 5-2. The Basel native would seal the win two games later, securing his place in his 133rd tour-level final. Federer will look to add Basel to the growing list of tournaments he has won at least seven times, when he squares off against Nadal on Sunday. 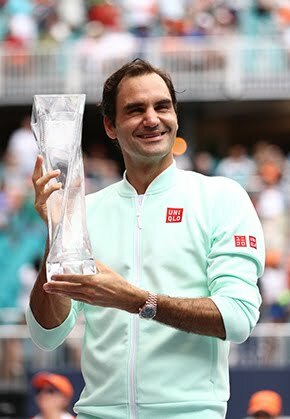 He claimed his eighth title in Halle earlier this year and has hoisted seven trophies at Wimbledon, in Dubai and the ATP World Tour Masters 1000 event in Cincinnati.